Any of you or your closed friends tying the knot soon ? 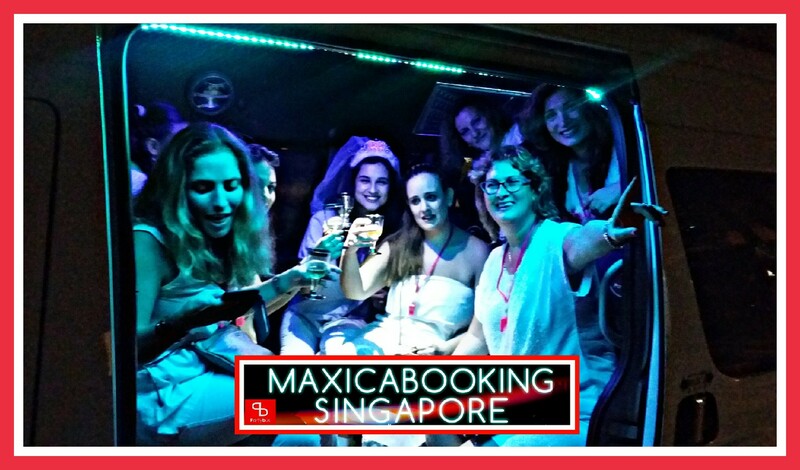 It’s the offical last night out with the ladies and BFFs so let’s do it with a blast!Book a party bus with MaxiCABooking SG for a private bachelorette party onboard and be driven around Singapore in Style. Do a bar crawl or club hop all night to various popular nightspots. From Amoy St to Club St then to Prego at MBS. More energy? Continue on to LuLu’s before heading to Altitude and enjoy their rooftop nightclub concept for the rest of the night. Not stopping at that, continue party on the way back home onboard the party bus while sending each of your friends to their homes. Each and every Bachelorette party will have to be different and every BFFs organizing it will squeeze their brain juices to think of the most magical, unique and of course memorable theme for the party. Whatever themes is chosen on that night, getting a party bus Singapore for your bachelorette party is definitely the best choice as the icing to top the cake. Bachelorette Parties are always about laughter & of course embarrassing moments. Our party buses ensures that you get to do all this in private, only you and our BFFs in the comfort of your own party buses! Club or bar hopping is one of the best ways to celebrate the night out. Our party buses is available for you to use on hourly disposal. Its like having a chauffeured driver with you at your beck and call. While club or bar hopping, you get to party in the party buses. Its like partying non stop through the night! This is definitely way better than a limo! The best thing is, all this come at an affordable cost! Love to sing? We also have our karaoke party buses! These party buses are equipped with big screen TV and karaoke system for you to enjoy the whole experience. Having the bus privately to yourself, you can sing your heart out with your BFFs in your bachelorette night with no one to judge! You can even do a sing off with your BFFs and create dares for the person who loses, hopefully the bride to be! This entry was posted in party bus, Party Bus Booking and tagged bachelor party bus, bachelorette party bus, hen's party bus, karaoke party bus, party bus bpaar crawl, party bus for club hop, party bus karaoke. Bookmark the permalink.